SEAT has deployed its strategy for the next two years with respect to its electric vehicles. By early 2021, it will sell six plug-in electric and hybrid models. In addition, it has announced its new partnership with Volkswagen. For the first time in the company's history, SEAT will develop a new vehicle platform in collaboration with Volkswagen. This is a smaller version of the Modular Electric Propulsion Platform (MEB) on which different vehicles of around four meters of different makes, including SEAT, will be manufactured. The new platform aims to develop affordable electric vehicles, with an entry price below 20,000 euros in Europe. "Seat now has a clearer role in the Volkswagen Group and, thanks to the results obtained, we have obtained the allocation of the new electric vehicle platform," said De Meo. "For the first time, the Seat technical center will develop a platform that can be used by other brands around the world," added the executive. The electric version of the Mii and el-Born will be the brand's first two 100% electric models, while the new generation of the León and Tarraco will feature a plug-in hybrid version. In addition, the CUPRA León and the CUPRA Formentor will also have a plug-in hybrid variant. SEAT CEO Luca de Meo also announced today during the company's annual results presentation that the CUPRA Formentor, the new CUV he unveiled at the Geneva Motor Show, will be manufactured at the Martorell production plant. 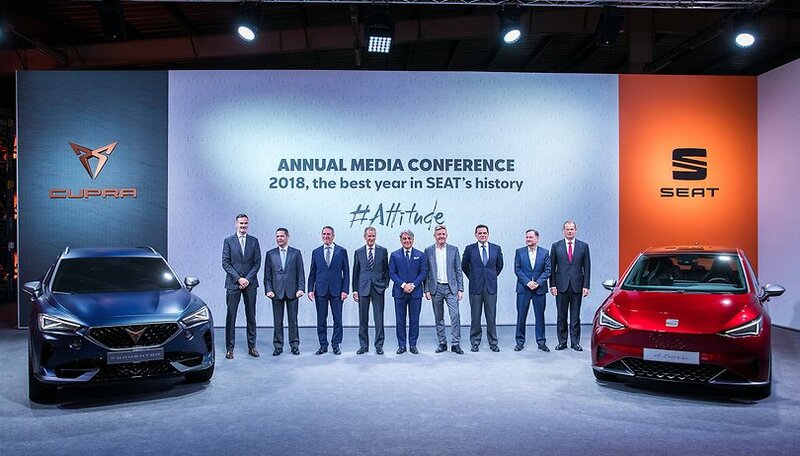 In 2018, SEAT achieved the best results in its history. Profit after tax rose to 294 million euros, 4.6% more than a year earlier (281m). In the last five years, SEAT's turnover has grown by 33%. With 517,600 vehicles sold (10.5% more than in 2017), SEAT was the fastest growing brand in Europe in the last year.